I trust you are all well, and I would like to offer my sincere thanks to you for your prayers, practical support for BCLC and personal encouragement. Can you believe that we are almost at the end of another year and that Christmas is literally around the corner? Sorry I should not have said that but wow, this year has truly flown by. Most people tend to do a review at the end of the year and set things like new years resolutions in place to start the year. 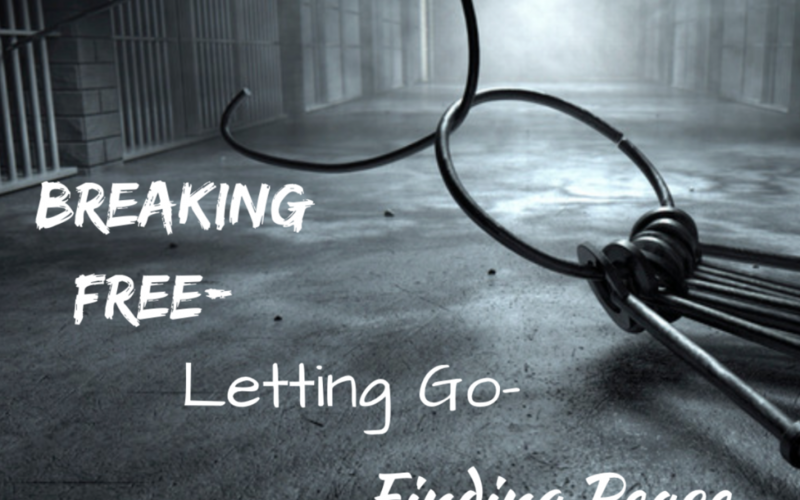 This year I want us to be individually and collectively ahead of the curve, and this is why I am introducing this new series, Breaking Free, Letting Go, Finding Peace. Each one of these stages has different approaches, a different set of language, and one thing for certain is that it is useless to try to drag someone from their winter into your summer, so as we study this, please make sure that you are applying the principles to yourself first. In the first part of this series we are going to tackle condemnation, because it is a chain that holds all of our minds to a greater or lesser degree. There are no end of people in your world who are still holding on to the last argument, the old version of you, and ever ready to remind you of your failings and your faults. You need to know that’s more to do with where they are, and nothing to do with where you’re going. So when your past calls, don’t answer because it has nothing new to say! Please save the date December 18th as this will be Pop Up Church Christmas 11am in the Sony Theatre Bridgend, as well as ‘All Wrapped Up’- The BCLC Carol Service Event which commences at 6pm on the same day. This month we continue our drive into Bridgend College, our local schools as well as my continued outreach on Premier Radio. The centre maintains its day to day drive with The Crib our Gym, Conferencing as well as our regular youth and children’s activities. Your help in resourcing this work both financial and through volunteering is invaluable, so if you would like to give into our vision then I would like to ask you to consider tithing or giving a regular partnership amount to BCLC to assist our work. Following on from our SALT series, we moved on to the art of Soul Winning. Please click on the links below to catch up on the key ideas. As always my continued thanks for your commitment to BCLC and spreading the gospel wherever you are. Remember the bible says that there is therefore now NO CONDEMNATION, to them who are in Christ Jesus, who walk not after the flesh but after the spirit! Break Free, Let Go, Find Peace!